Hello Thailand! Will be in South East Asia for awhile. We will see what confessions will be revealed! In Korean Natural Farming it is taught to collect indigenous microorganisms from our local environment and culture them for use into our garden beds and to our plants as a foliar spray. Collecting and utilizing the IMO’s will assist and encourage the re population of organisms in your soil for optimum soil health which in turn creates balanced, healthy plant growth and production. Collecting IMO’s from you area is greatly encouraged because the organisms are already adapted to the climate and environment for maximum strength and efficiency, so basically no jet lag from these guys once their on the clock. 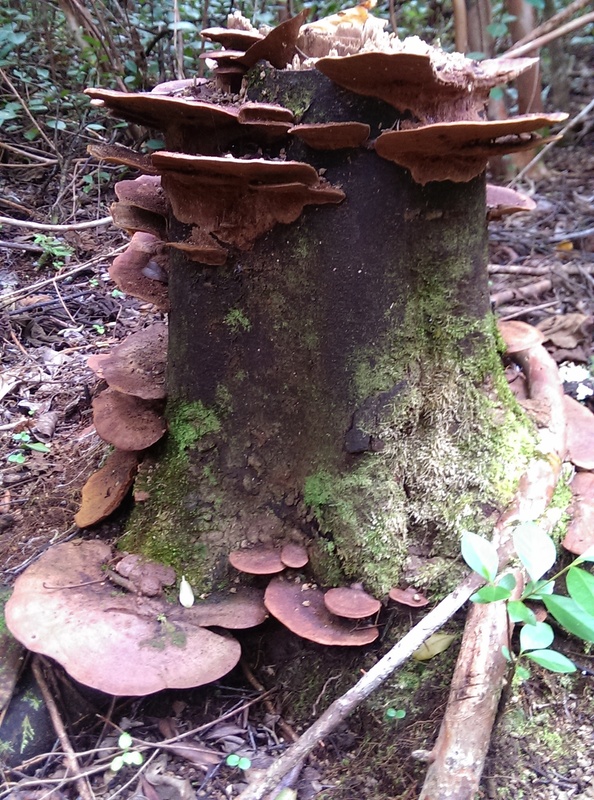 IMO’s can also come from two different sources: bacterial and fungal. 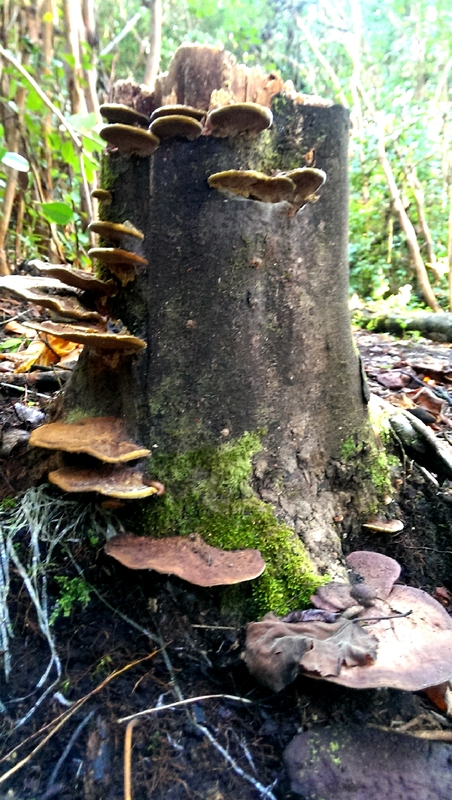 Bamboo patches and vermicastings can provide a bacterial environment and old growth forest can offer fungal. 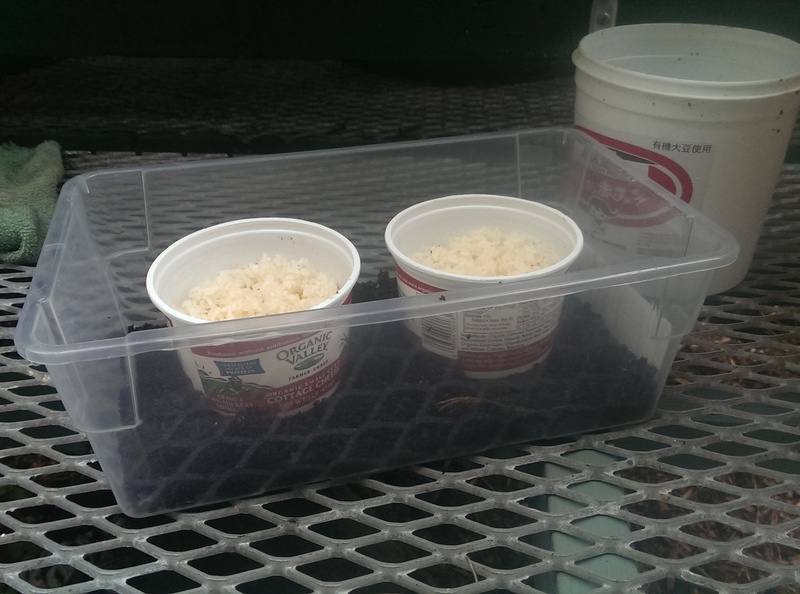 It is also beneficial to make collecting, culturing, and applying IMO’s to your soil regularly. The consistency maintains an abundant living soil for all your plants to thrive in. 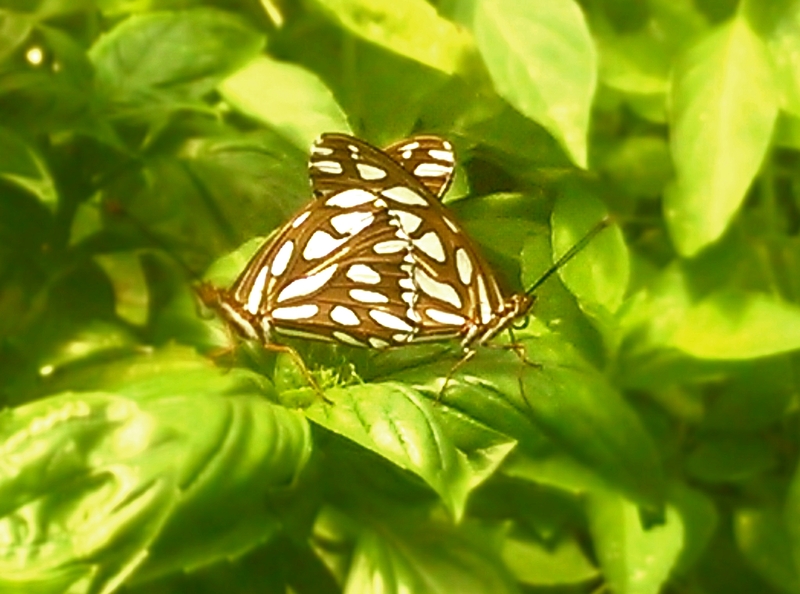 Not only will it show to be beneficial to the plants but also contribute to a rich eco-system in your land. 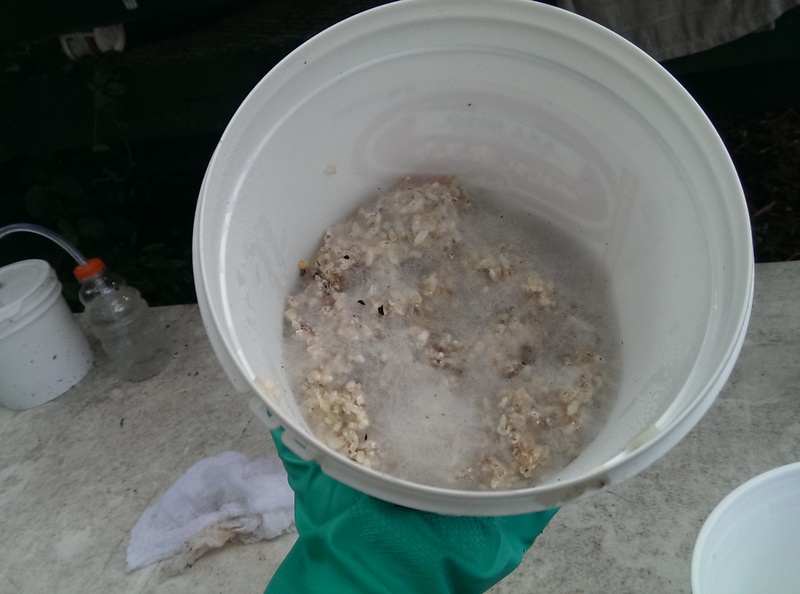 (Note– there are many great videos and documents on how to collect IMO online however after experimenting with multiple ways here in the jungle, it shown to be too wet and damp which collected black mold along with fire ants infesting the process. The system below mimics an atmosphere that is contained and helps keep out the jungle moisture and mass amounts of fire ants. 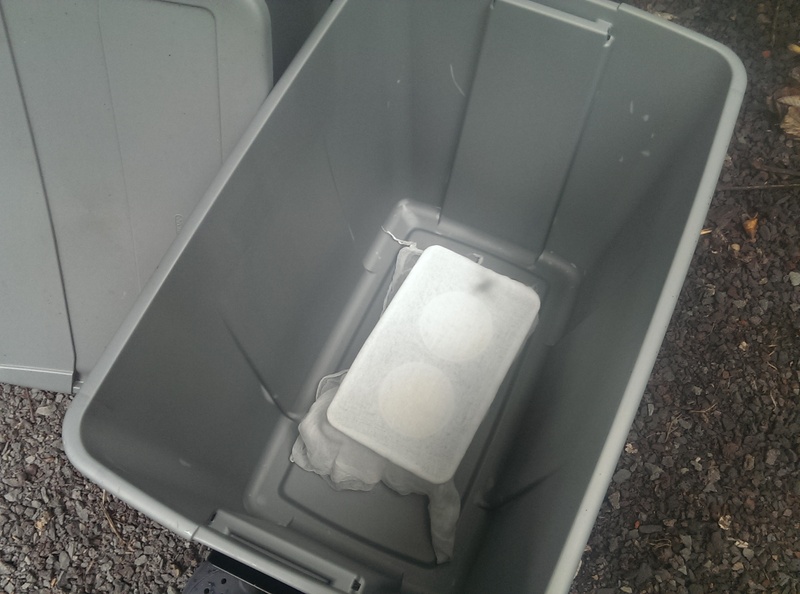 The system is basically a dry, clean space (Rubbermaid Storage Bin) with the worm casting inside. 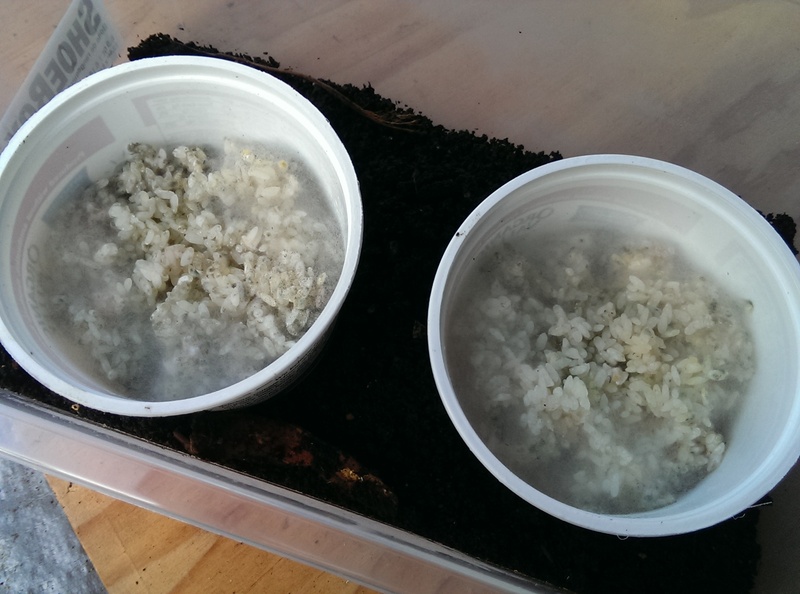 The cooked rice will capture the bacteria contained in the casting and be able to populate in a clean, dry environment. -Make “hard cooked” rice in rice maker. Hard Cooked rice is rice that is cooked to be as dry as possible, so you want to avoid making a moist or sticky rice. To make hard cooked rice you add no more that half the amount of water to rice. Example: if you measure 3 parts rice you add 1.5 parts NON CHLORINATED water. Cook in rice cooker. -Fill container (yogurt or cottage cheese container) with cooked rice loosely. -Place the cooked rice container into the larger “shoe box” style container that contains collected vermi castings in the bottom. 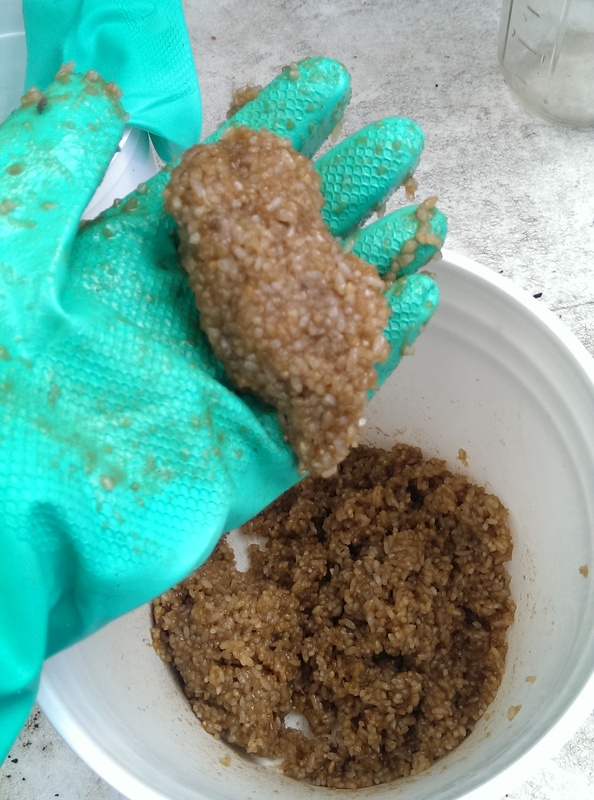 The castings contain the bacteria that will be captured and populated on the cooked rice. Cover this container with cheese cloth and string containing both casting container and cooked rice container. -Both of these containers will be placed in the larger clean Rubbermaid storage bin which will act as the simulated clean, dry environment for the IMO’s to be created in. -Place the Rubbermaid storage bin (with lid) in a very dry and shaded area. The dryer and cooler (meaning cooler for the jungle) the better. 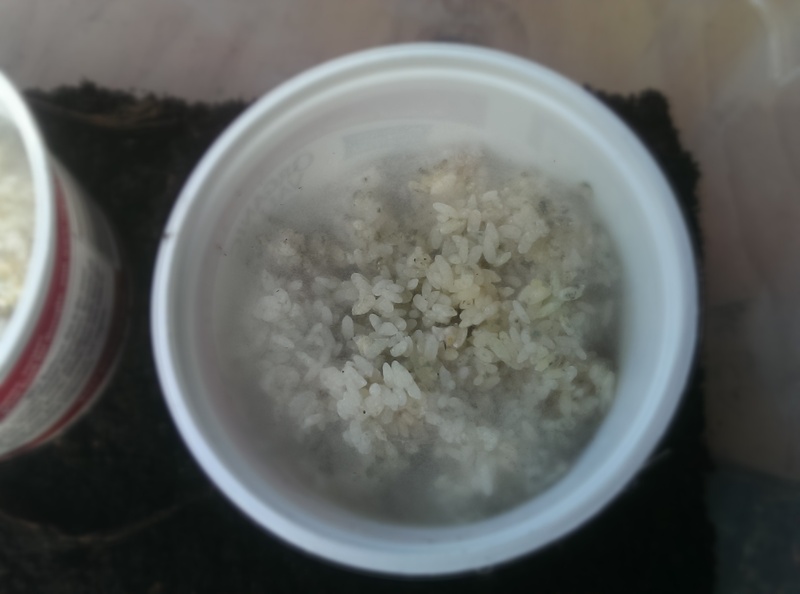 -Check on the cooked rice container daily to monitor the growth of the IMO and to make sure it is not getting contaminated by moisture or bugs. -When a fluffy white substance has spread over the cooked rice- the IMO is complete. Do not let it sit too long or it will develop other molds that will contaminate the pure IMO that you are aiming to capture. IMO 1 is the collection of the Indigenous Micro Organisms from your environment on the cooked rice (rice and microbes). 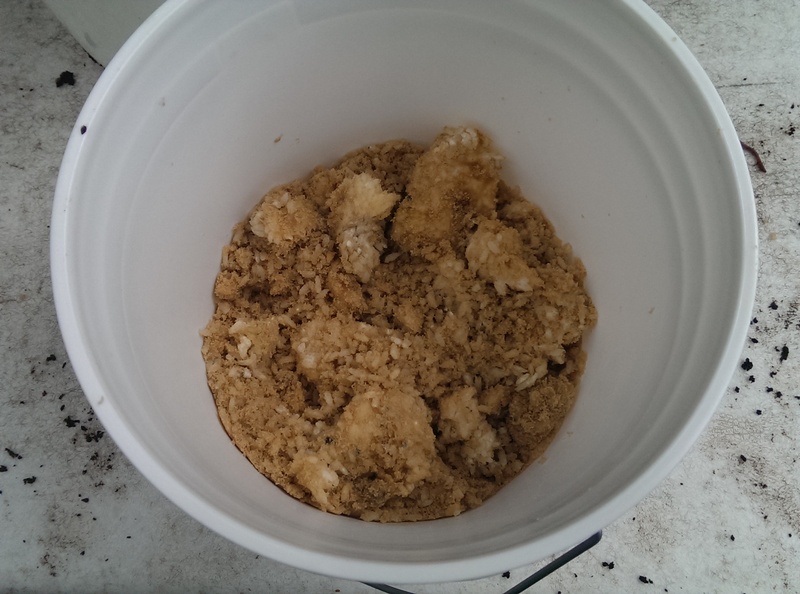 IMO 2 is the fermentation process of the organism in a sugar source (rice, microbes, and sugar). -measure out equal parts (1:1) brown sugar to the amount of rice and microbes (IMO-1) *estimating equal parts by sight is fine. -mixture is complete when you can easily form a mass with the rice and sugar with your hands. -cover the mixture with cheese cloth and string and let ferment for two weeks in a cool, dark, and very dry location. 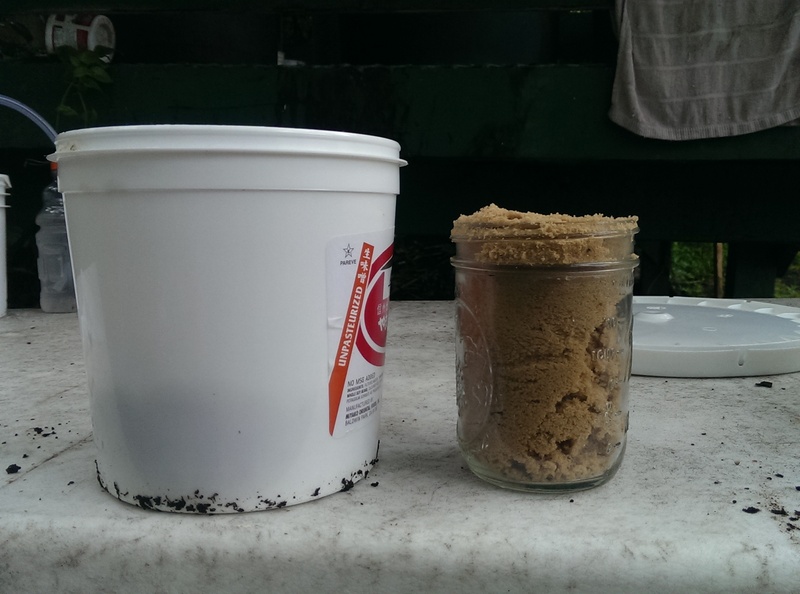 -here in the jungle, ants are attracted to the sugar and rice, so we put a container inside a larger container with a few inches of water at the bottom. This keeps the ants from getting to the container. 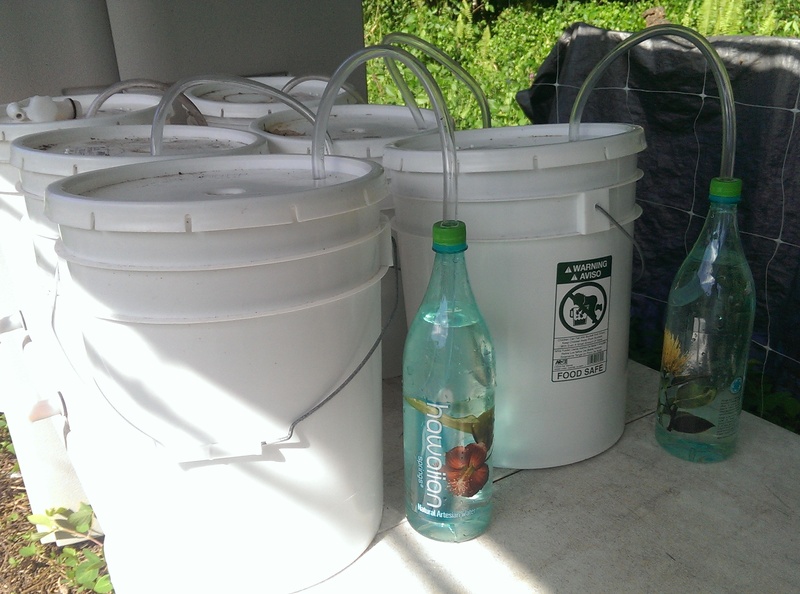 Once IMO2 is complete in fermentation (2-3 weeks) it can be stabilized and stored for use. 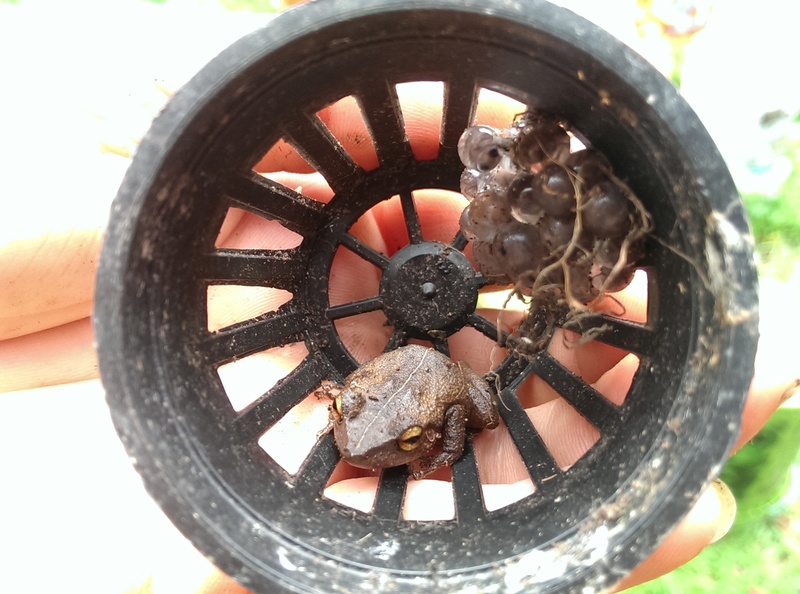 -put finished IMO2 in a larger bucket. -Add 3 times (1:3) amount of non chlorinated water to the IMO2. -mix with wooden spoon or bamboo. -strain out liquid mixture to remove rice and other particles. 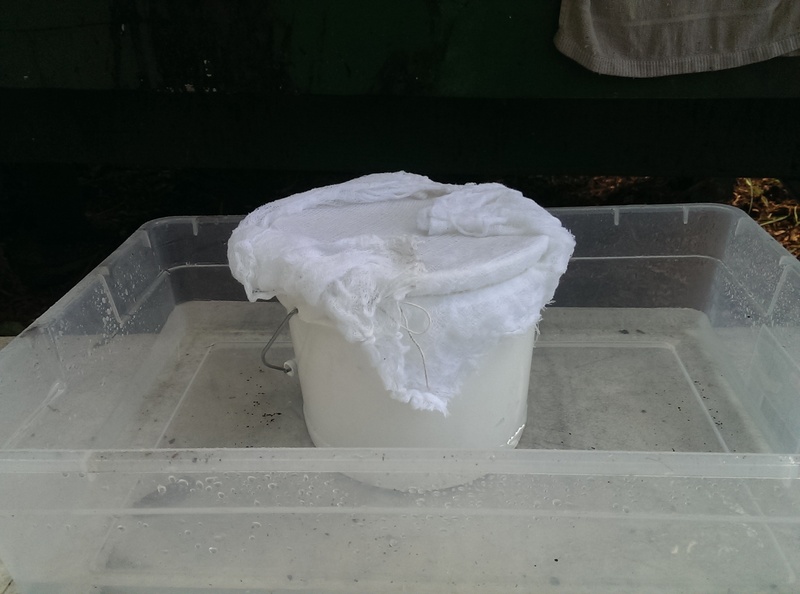 -Finished strained IMO2 can be stored in bucket (with air lock) in a cool, dark place for up to one year. Finished IMO2 can now be used in soil and garden beds and sprayed onto plants as a foliar spray. 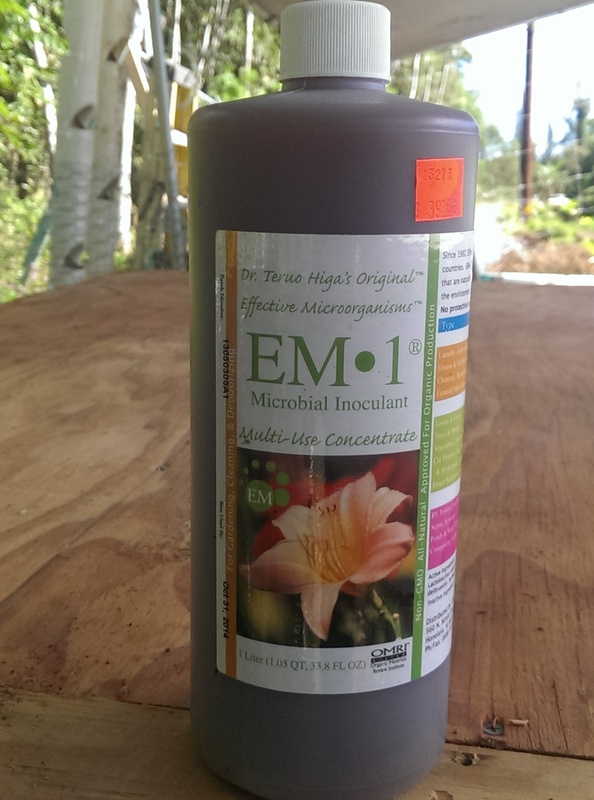 -use a ratio of 1:500 of the IMO2 to non chlorinated water in a sprayer to treat garden bed soil, compost piles, and foliar spray to growing plants. -treating plants and soil should be done before the sun comes up. The plants pours are wide open in the dark and will consume the foliar spray versus in the sun when the pours are closed. Also spraying in the dark allows the microbes to softly enter the soil without getting fried and killed from the hot sun during application. These microbes are alive and direct, hot sunlight will kill them.